Women nowadays are too busy, they hardly have the time to pursue a hobby. However, it is very important to make time for interests and hobbies because they have numerous benefits. Hobbies boost your creativity, generate positive feelings, reduce stress and enhance work performance. They make you smarter and more interesting person because they give you something to talk about at parties and social gatherings. Taking some time to enjoy non-work related activities is very important because it makes your life more relaxing and enjoyable. You will certainly feel more inspired when you have a rich and active life, but you will inspire others as well. So, what should you choose as your new hobby? Maybe there’s something you’ve always wanted to try but never had the opportunity to actually make it happen or maybe there’s something you used to enjoy doing. If you’re stuck for ideas for a hobby, you’ve come to the right place. We’ve compiled a list of some the best hobbies for women – hobbies that will bring out the feminine side of you and will challenge you to get out of your comfort zone! Photography is one of the best hobbies for both men and women nowadays. 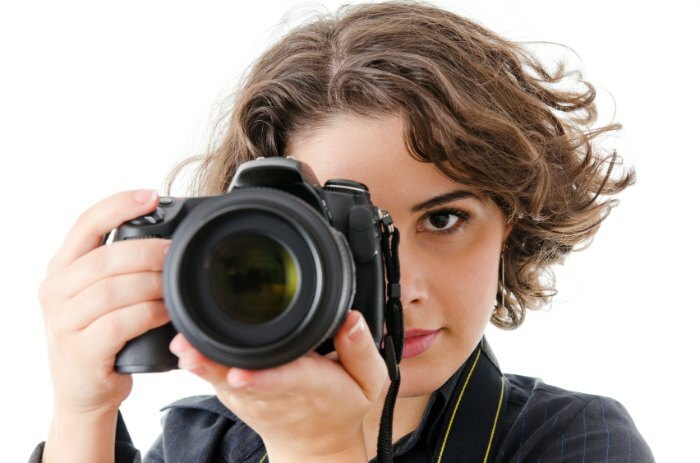 Taking great photos has gotten so much easier with the development of modern digital cameras. Even if you don’t have a camera, you can take some really amazing photographs just with your smartphone. However, if you’re serious about photography, consider taking photography lessons and get yourself a good camera to take your hobby to the next level. If you’re bored, you don’t have a reason not to be a great writer. Writing has always been considered a “womanly” hobby. Blogging is one of the greatest ways to express yourself and to share your thoughts and knowledge about something with other people. If you have something that you would like to share with the world, all you have to do is set up a free blog to get started. You can use your blog to update your family and friends about your life. Blogging is a great hobby for women because it boosts creativity and improves writing and analytical skills. 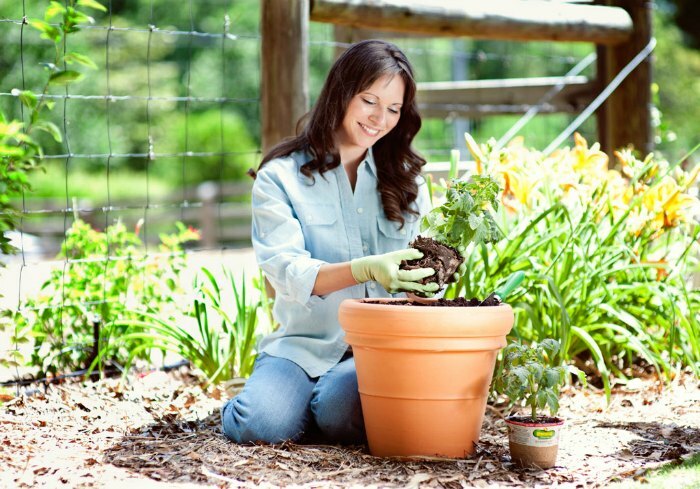 Gardening is a relaxing, fun, and rewarding hobby that brings out a woman’s creative side. Gardening helps you connect with nature and whether you choose to plant flowers, vegetables, or trees, you’ll certainly get great satisfaction in seeing and enjoying the fruits of your labor. However, gardening can be quite challenging, so if you’re planning to get serious about it, it’s important to learn a thing or two. Cooking is another enjoyable and very rewarding hobby. You can experiment with different flavors, ingredients, and textures, but most importantly, you can learn to cook some healthy and nutritious meals for your family. Invest in a great cookbook to get some ideas and to learn the basics. Another great thing about cooking is that you can use this hobby to make money in so many different ways. 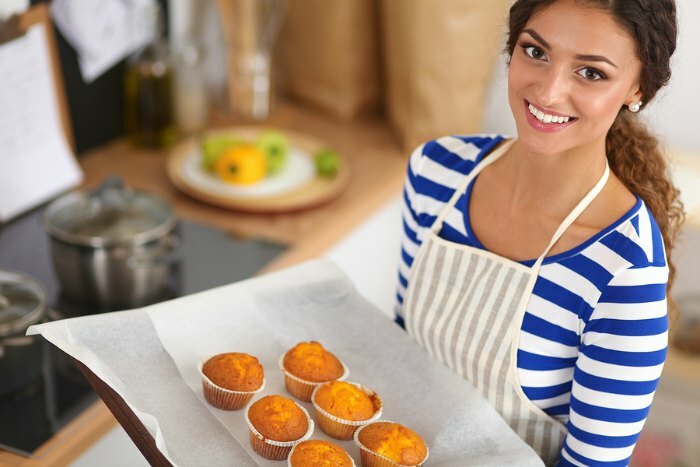 You can make homemade sweets, treats, and cakes and sell them at a market stall, or you could use your skills to open up a cafe or a restaurant. 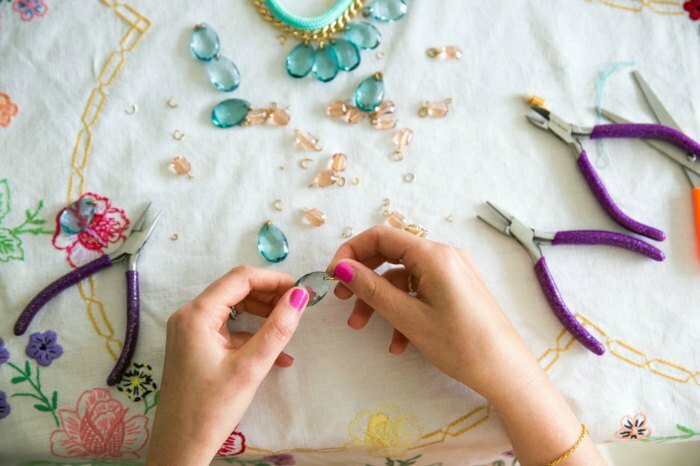 Making your own jewelry can be really fun and a great way to express your feminine side. Jewelry making is an addictive and creative hobby that has the added benefit that you will get to wear all the beautiful things you will create. Not only that, you can also make your own gifts for your loved ones. Any craft store has a variety of beads, wires, stones, and other tools you’re going to need for making jewelry. You can also take classes on jewelry making to learn some techniques and then you can sell your jewelry and make yourself some extra money. 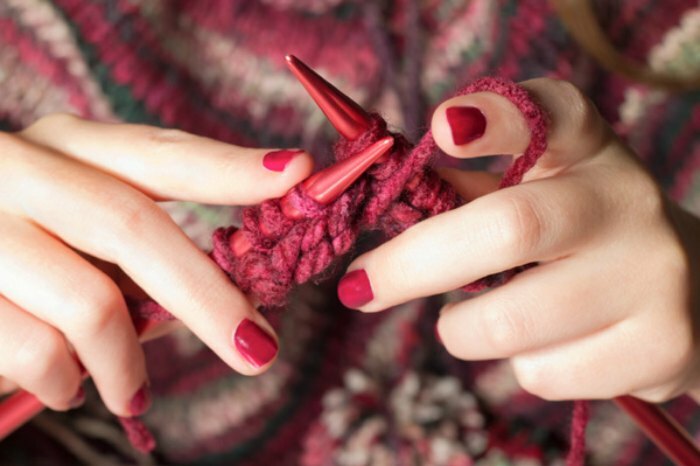 Knitting is a traditionally feminine hobby that is also enjoyed by men. Knitting is very creative and relaxing activity that gives you a sense of pride and great satisfaction when you know that the knitted garments are made by you. Knitting is also a mind stimulating activity that alleviates symptoms of depression, improves motor functions and has calming effects. You can also knit many beautiful things and create fun and unique gifts for your friends and family. Learning a new language is always a useful skill. Even though this requires time, patience and dedication, it has many benefits, especially for your brain health. Learning a new language delays the onset of brain decline and dementia, and opens up an entire world of new opportunities for your career. This is a great hobby for women that will give you a sense of achievement and accomplishment. If you’re not sure where to begin, check out some books from the local library that can help you get started or consider enrolling in a language course. The practice of yoga is deeply satisfying and calming. Yoga is an ancient system of philosophies, principles, and practices derived from the pre-Vedic traditions of India, more than 2500 years ago. Today, yoga is practiced as a form od meditation and relaxation. Every woman should give yoga a try at least once in her life. Yoga is a great way to increase your longevity, flexibility, and core strength. It can also help to get rid of all the toxins in your body and reduce stress and anxiety. Belly dancing is definitely one of the most exciting hobbies for women. Belly dancing is a form of dancing which originates from the Middle East and involves a lot of movement of the waist and the arms. Belly dancing is very beautiful, enchanting, and intriguing dance that will unleash your inner goddess. It’s a great way to express your feminine side and stay in shape. Not to mention that men find belly dancing captivating and very attractive. So, find a belly dance class in your area or purchase a DVD and start dancing. Reading is probably one of the best hobbies in the world. Thanks to technology, you can read all the time, anywhere you want. Reading helps to broaden your mind and makes you smarter and more interesting in conversation. If you have access to a library card, you can read any book you want without spending money. The best thing about this hobby is that there are so many amazing books out there, so you’ll probably never run out of books to read. Running is one of the best ways to spend your free time. Running is both physical and mental sport – it keeps you fit, clears your mind from worries and relaxes you. Invest in a good pair of running shoes and join a running club. Being part of a group can help keep you motivated and push you to go harder. Of course, if you want to, you can run alone while listening to your favorite music. This way, you can set your speed and skip the side conversation that you find too distracting.